The pellet is a fuel obtained by pressing dried sawdust and comes in the form of small cylinders with a diameter of a few millimetres, and is today an alternative to traditional heating energy sources. It is a product wholly made from virgin wood and obtained through simple mechanical operations, without additives, easily usable and completely non-polluting, as there are no CO2 emissions. It is used in the latest generation of stoves to replace wood logs, thus entailing a series of ecological, energy and heating system management improvements compared to traditional stoves. 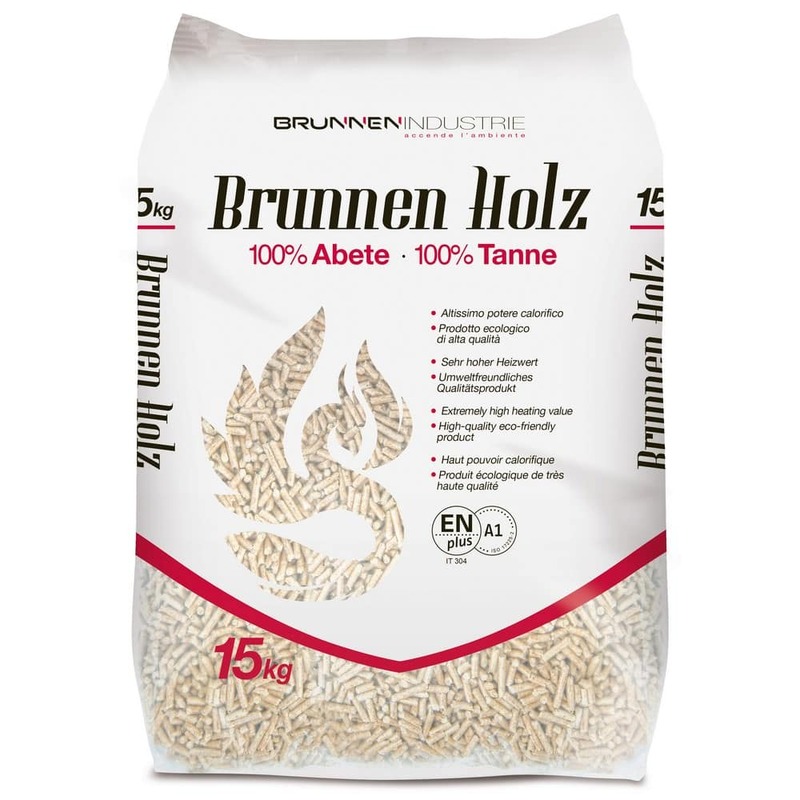 The “Brunnen Holz” spruce pellet in particular is made from the softwood of this resinous family. 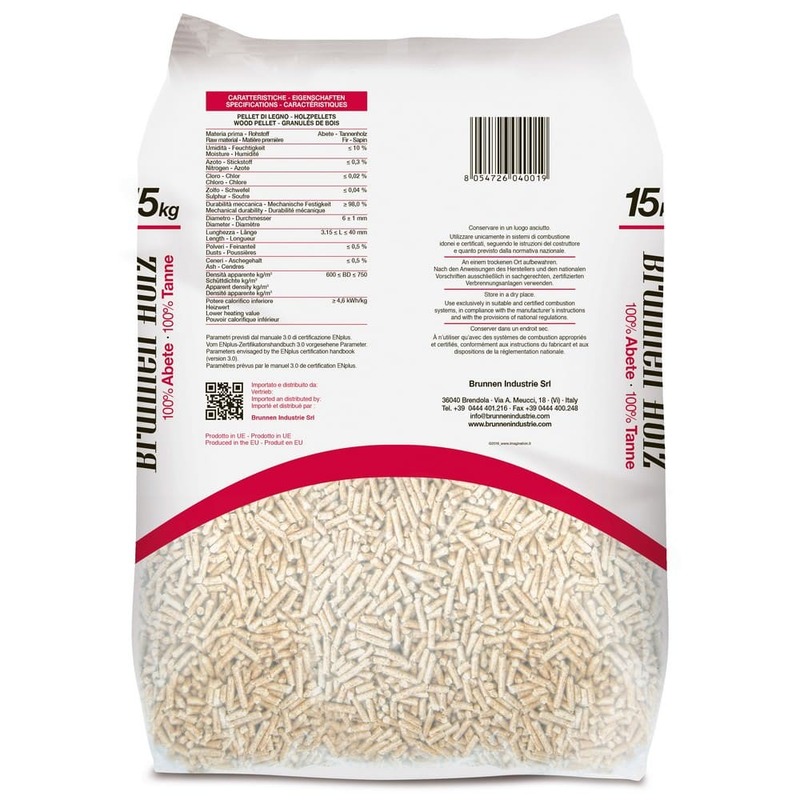 It is typified by the low ash residue and the high calorific power that makes it one of the best on the market.Suitable for use in any type of pellet stove, it has the characteristic of being certified to the European standard En Plus A1 ISO 17225-2 IT 304.